OnePlus 3 launched earlier this month and is available for purchase in graphite color option with the gold color to launch in the coming weeks. 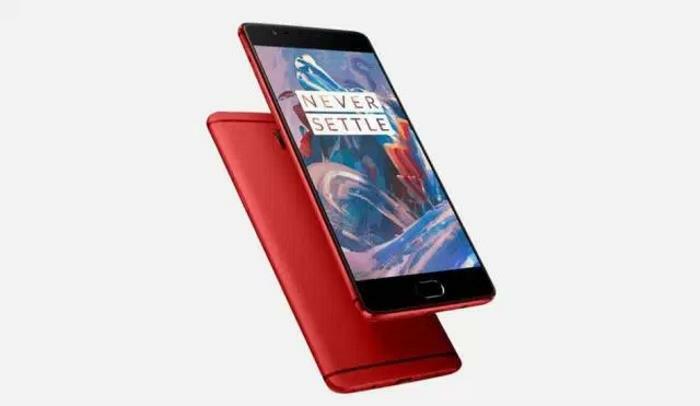 Now, it seems the company may launch the OnePlus 3 in yet another color, and that is, Red. The new color option was spotted on the company’s website for a brief period of time, revealing that we may get to see yet another color option for the handset. There’s 64GB of internal storage, a 16MP main camera for photos and videos, an 8MP front-facing camera, a 3,000 mAh battery and ships with Android 6.0 Marshmallow out of the box. In case you don’t know, the handset is available for sale in Graphite color option without an invite — a system which the company followed for the earlier iterations of the handset.